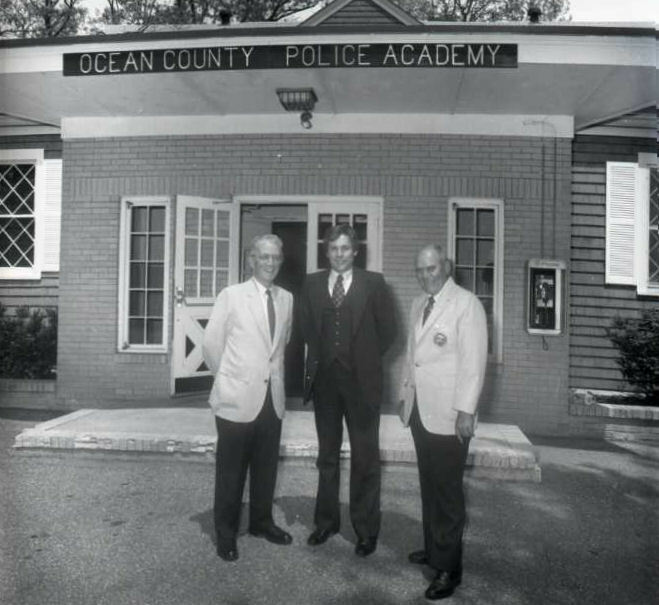 In 1960 the Ocean County Police Academy became a reality. Located in the Ocean County Park and former carriage house on the estate of oil magnate and philanthropist John D. Rockefeller, the academy still remains. 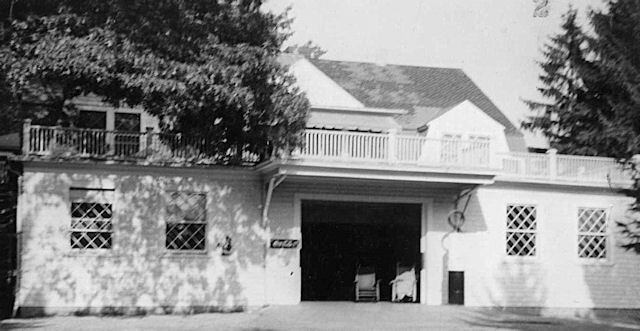 The original carriage house which was constructed in 1902 overlooking the nine-hole golf course was also used as servant’s quarters for some of the facilities gardeners, caretakers and watchman. The facility later went on to serve as the locker room for the New York Giants baseball team (now the San Francisco Giants) during their spring training from 1943 to 1945. In 1979 the Academy building was added to register of historic places and shortly thereafter added to the Nation Register of Historic Places. Again recognizing the importance of police training, the Board of Freeholders embarked on a plan in the mid 1990’s to add additional classroom space to the existing building. In May of 1997, following many obstacles due to the buildings historic status, ground was broken for a $1.4 million addition to the Academy. The 10,000 square foot addition was designed to complement the existing facilities. The 1st class of the Ocean County Police Academy graduated fourteen recruits from its six week course in October of 1961. The 50th class of the Ocean County Police Academy graduated twenty four recruits from its fifteen week course in May of 1988, and fifteen recruits from its 100th class in August of 2015, following a twenty two week course. Over the fifty four years between the first and the one hundredth class, the Academy has provided instruction to thousands of police officers from throughout this state and others. In addition to its recruit training for full time officers, the Academy also provided recruit training for Special Law Enforcement Officers, County Correction Officers and Humane Law Enforcement Officers, in addition to in-service and specialized training for veteran officers. The Academy has come a long way from its part time six week police recruit training program to its present organization. Through this growth the original commitment has not wavered; mutual cooperation, understanding and the leadership of County government and its law enforcement community has transformed the humble converted carriage house into one of the top police training academies in the state.